Moody’s Investors Service has affirmed National Bank of Kuwait’s (NBK) long-term global local currency (GLC) deposit rating at Aa3, the highest in the Middle East and North Africa, with a stable outlook. NBK’s ratings reflect its dominant position in the domestic market that underpins its resilient core profitability; and robust financial fundamentals including consistently good asset quality metrics and strong capitalisation and liquidity, said the top ratings agency in its review. Moody’s stressed that NBK is in a preferential position to exploit larger credit opportunities compared to its domestic peers. The agency expects that as the government's development plan begins to gain traction, with more infrastructure projects being tendered than in previous years, NBK will be able to take advantage of new business opportunities. Moody’s said that NBK is Kuwait's largest financial institution, with a market share of 32 per cent of consolidated system assets, underpinning its price-setting and income generating capacity. The Kuwaiti bank is also a leader in trade finance and one of the few local banks with the capacity to structure and underwrite large capital market transactions. Furthermore, NBK has historically acted as lead-financer for the majority of public contracts awarded to foreign companies. 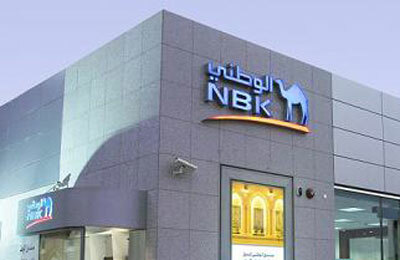 According to Moody’s, NBK’s core profitability will remain robust despite tighter margins. It has a stable deposit base and would benefit from "flight to quality" in the event of non-intrinsic systemic problems, the report added. NBK, said the ratings agency, continues to enjoy collectively the highest ratings among all banks in the Middle East from the three international rating agencies Moody’s, Fitch Ratings and Standard and Poor’s.